p2pb2b has earlier announced the listing of Bitcoin Rhodium. We are glad to announce that XRC coins can now be purchased on our platform and be used for trading. Bitcoin Rhodium is a community-based digital asset with limited supply and strong use case. 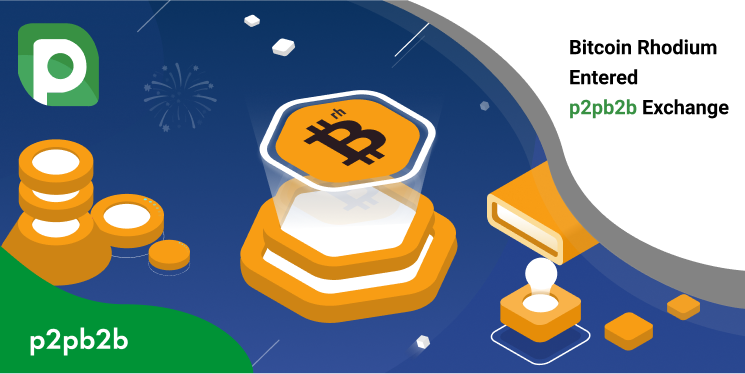 The coin meets all the requirements of users for a long-term investment in cryptocurrency and unites the best of the worlds of crypto and traditional investment. Bitcoin Rhodium gathers a strong community of supporters around the currency in order to raise its awareness in the crypto market. The team also offers Strong Hands partnership programme where holders can earn from 0,5% to 30% of reward on XRC holdings every year. Get your XRC coins on p2pb2b and start trading!